Bellaire unTapped: It's the End of the World! 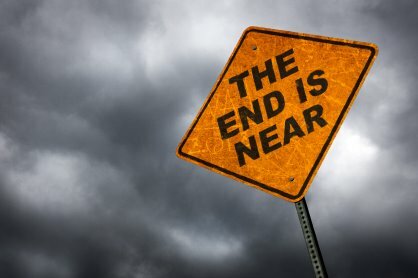 Are you planning on the world ending this December? If you are not really buying all this 2012 stuff, then when is the world going to end and how? Western religions tend to focus on the end as being a Judgement Day when God renders his judgement upon humanity. Eastern religions tend to look at history as cyclical. When this cycle of time closes, another will begin and it may look something like our past. All this talk of the end of the world brings up another question. What is history? Is it a narrative with a beginning and an end? Or is 'The End' a more illusive concept? Join us this Wednesday, 7pm at Short's Brewing Company for a conversation about the End of the World! All questions about the end of the world can be answered by R.E.M. (It's time I had some time alone)"